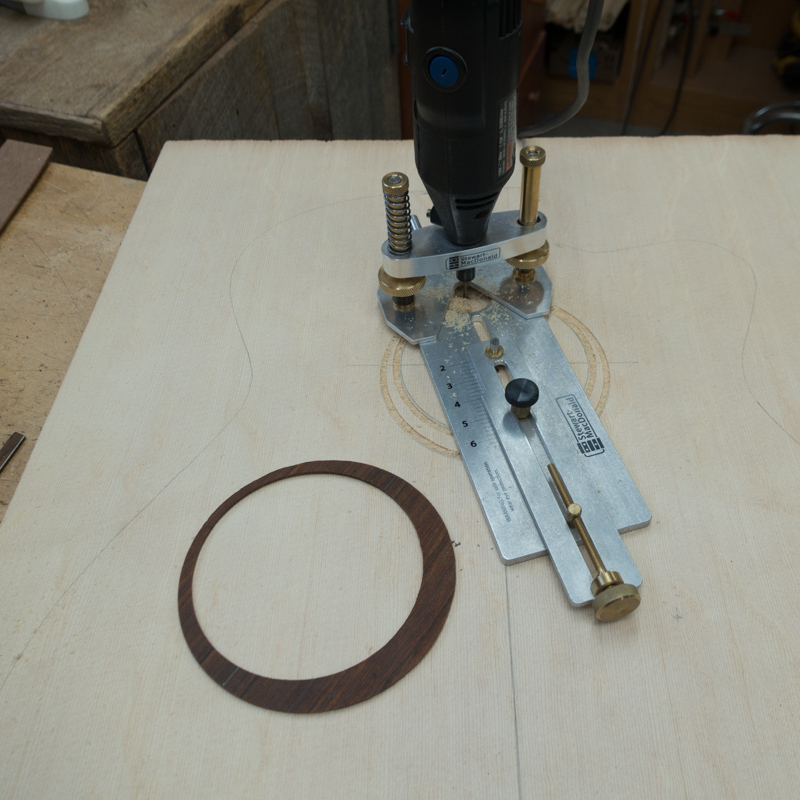 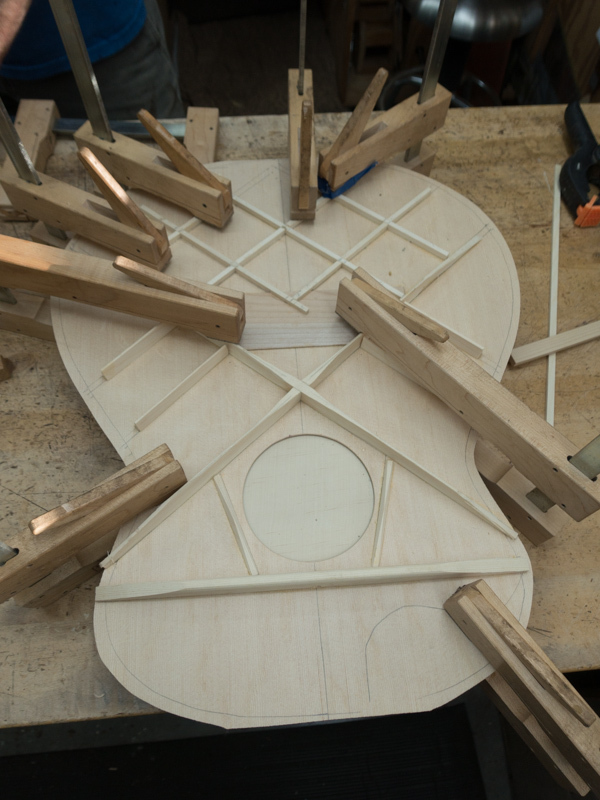 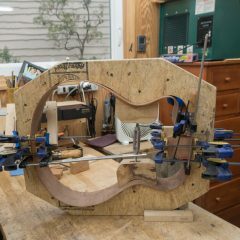 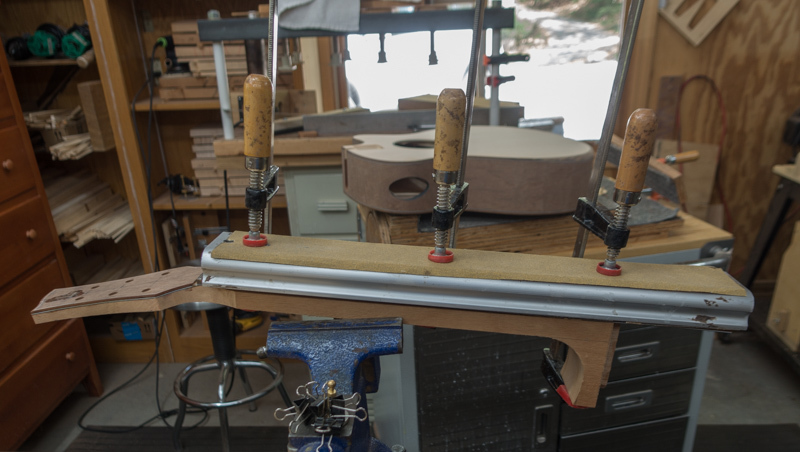 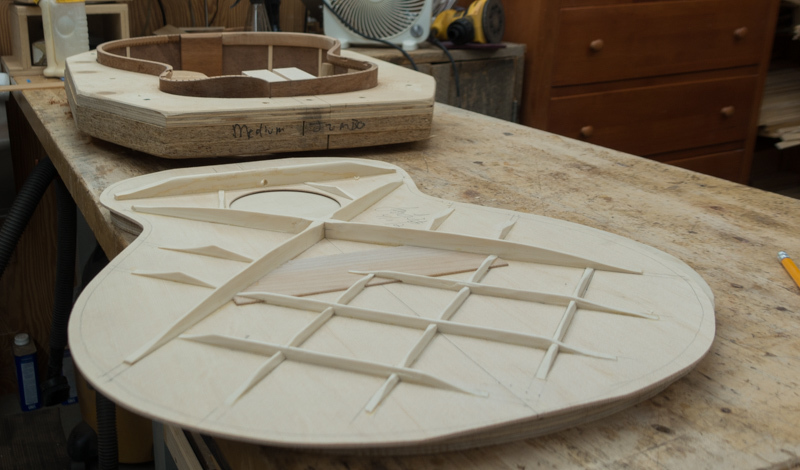 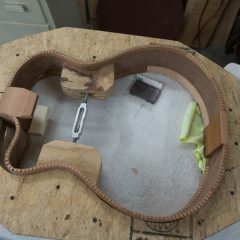 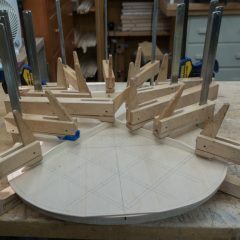 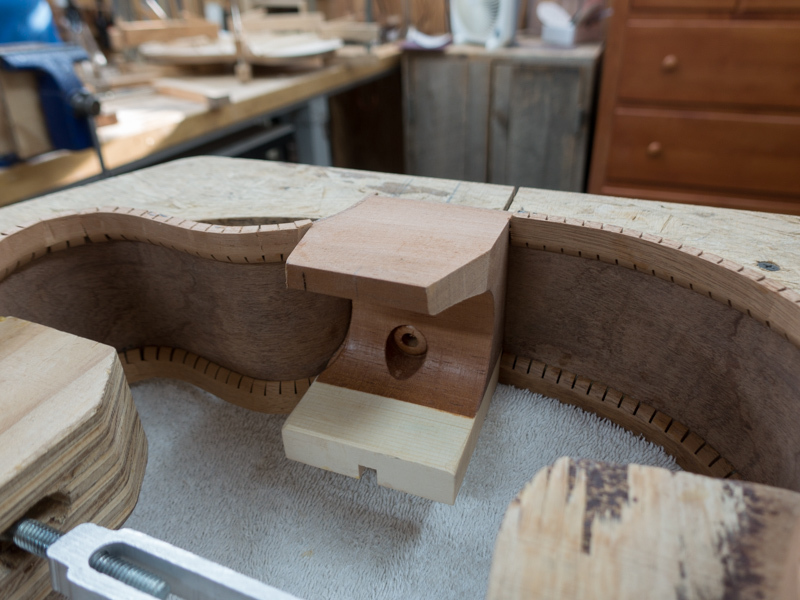 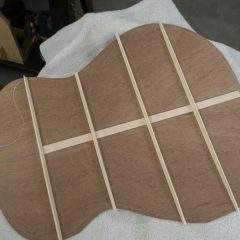 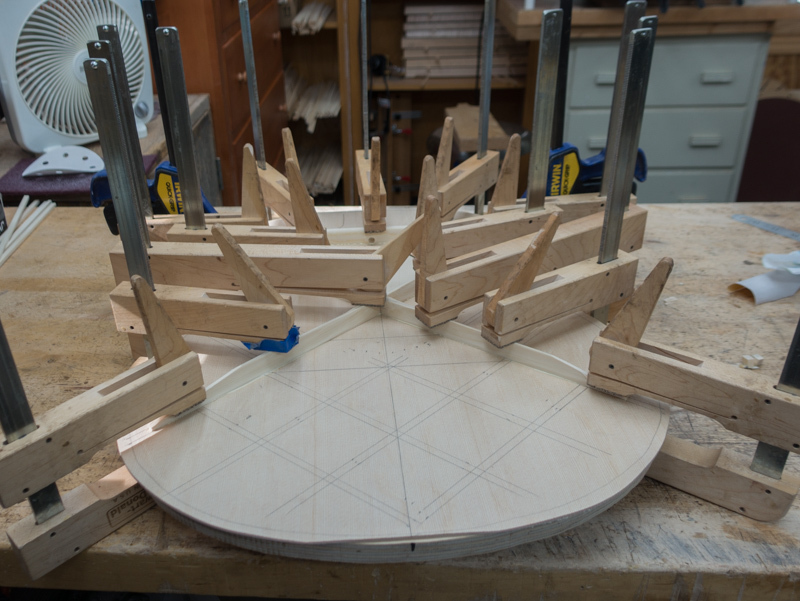 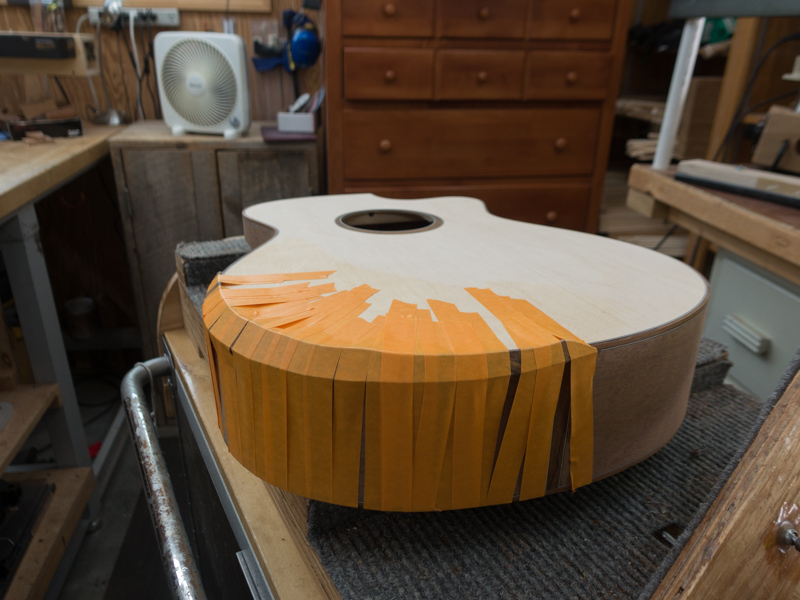 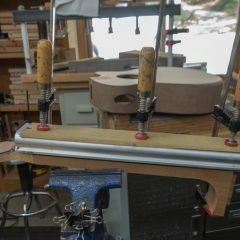 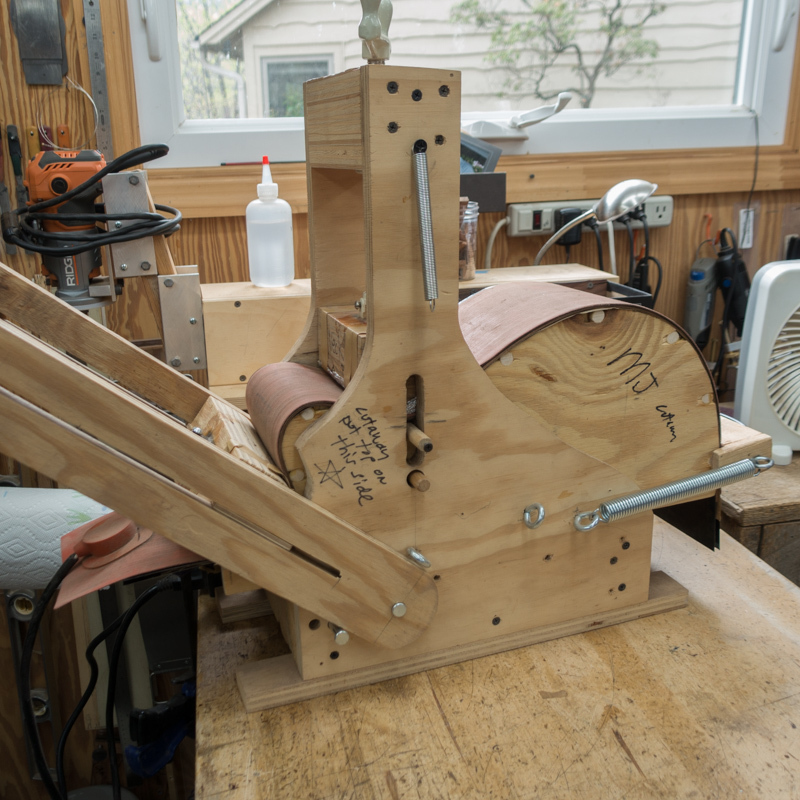 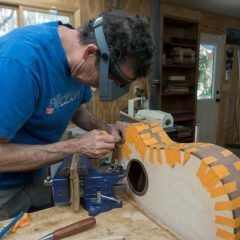 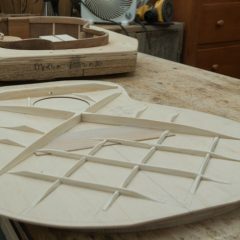 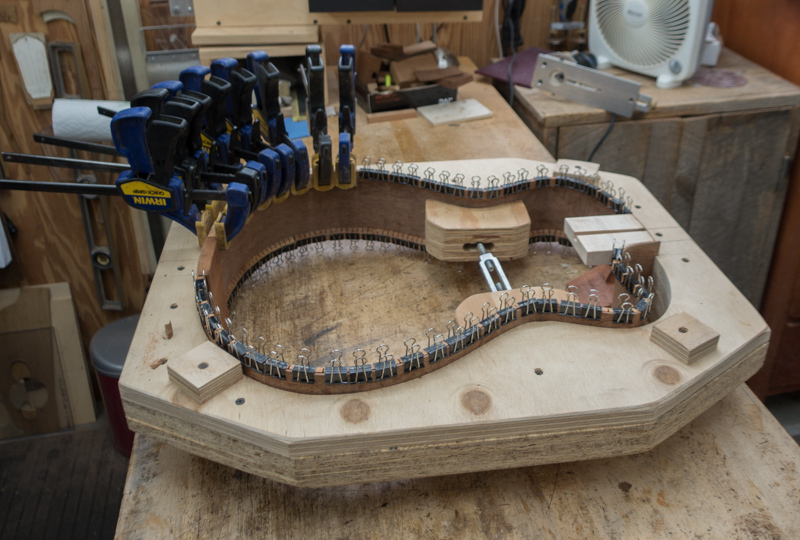 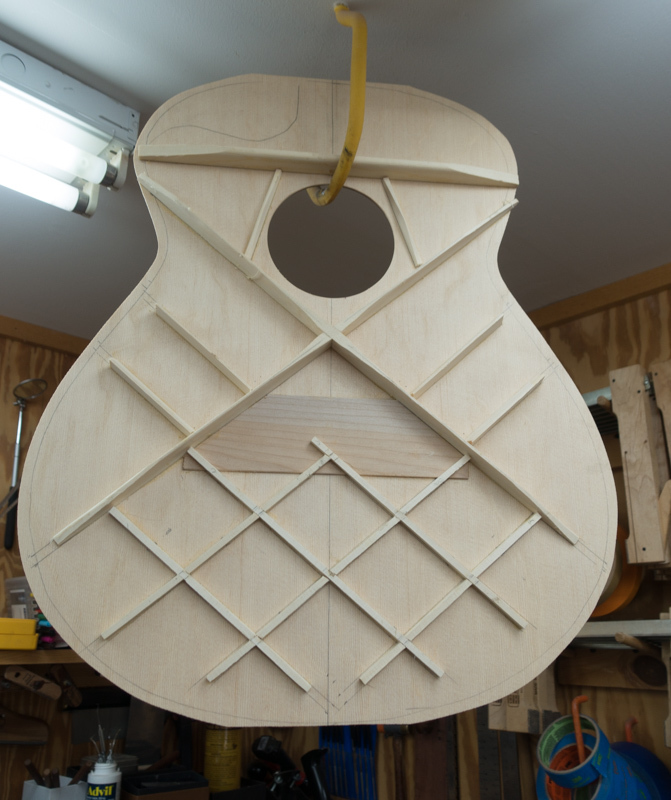 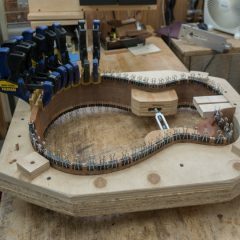 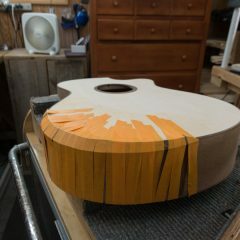 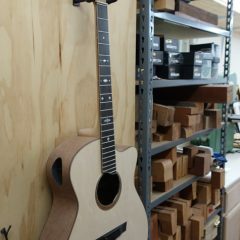 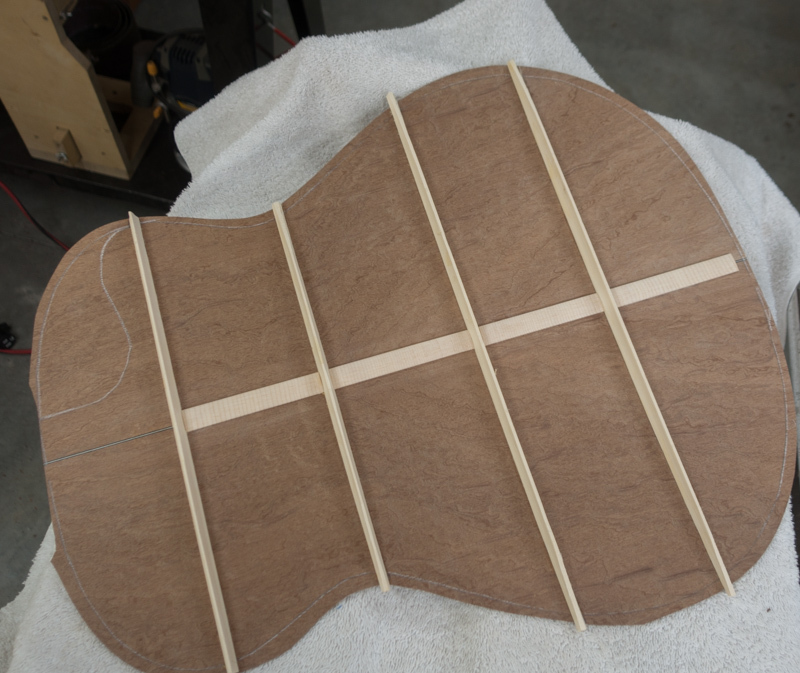 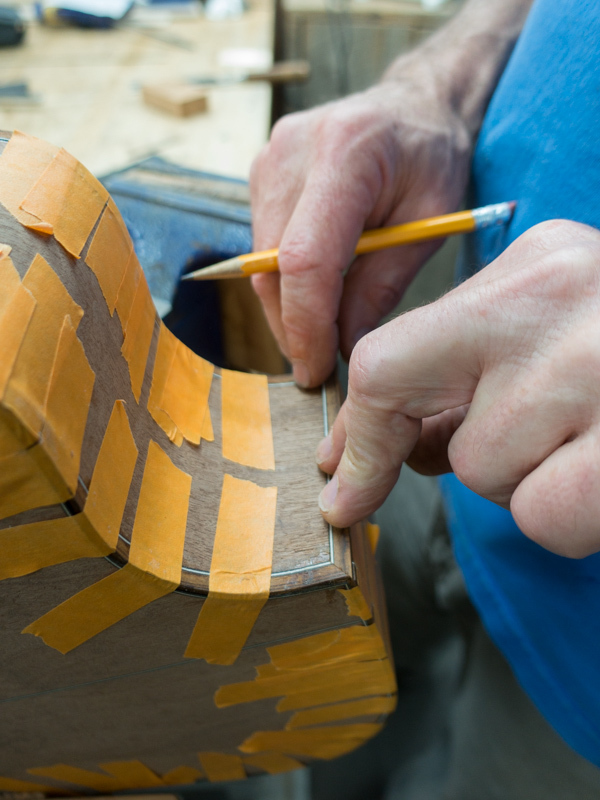 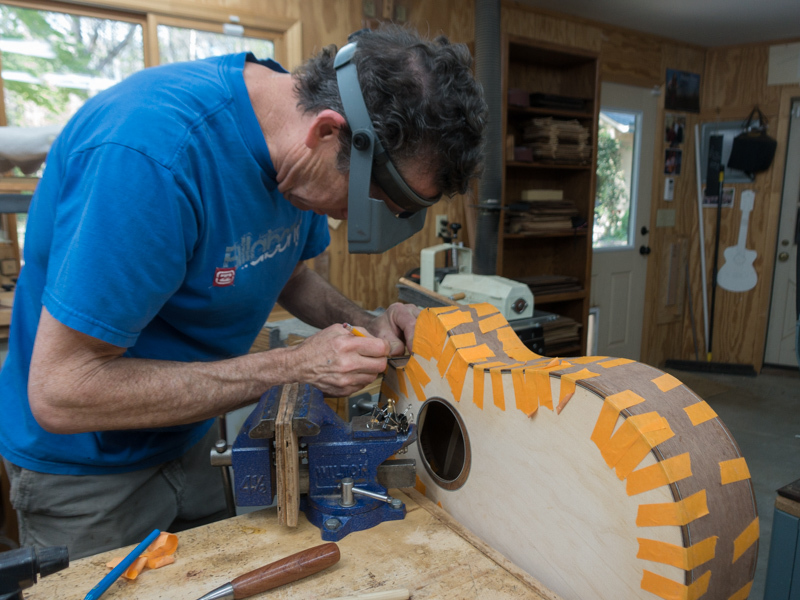 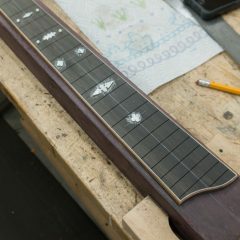 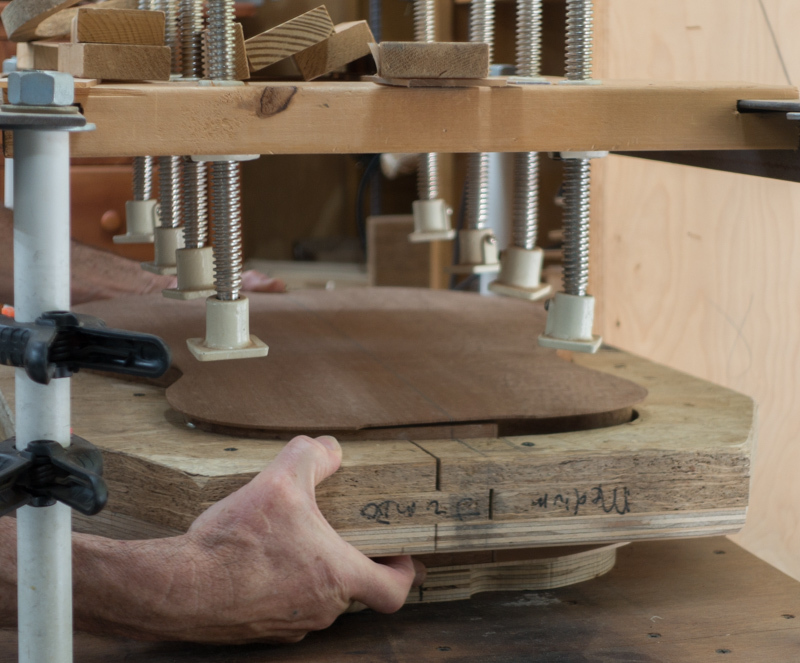 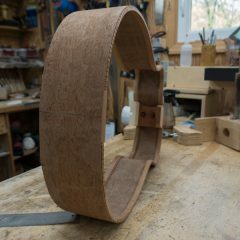 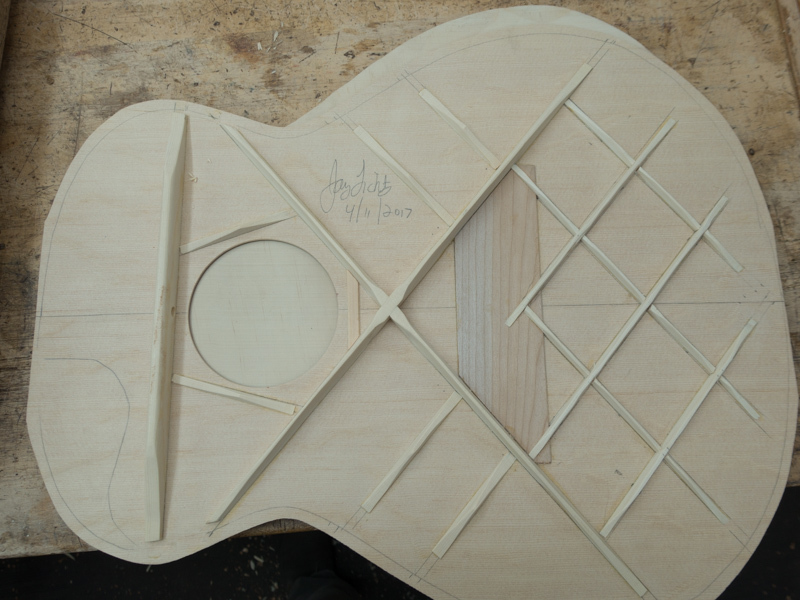 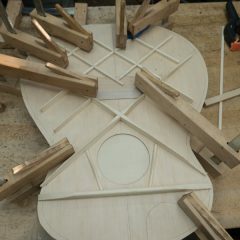 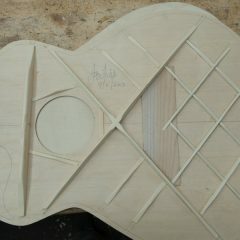 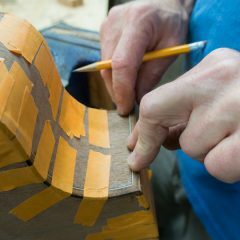 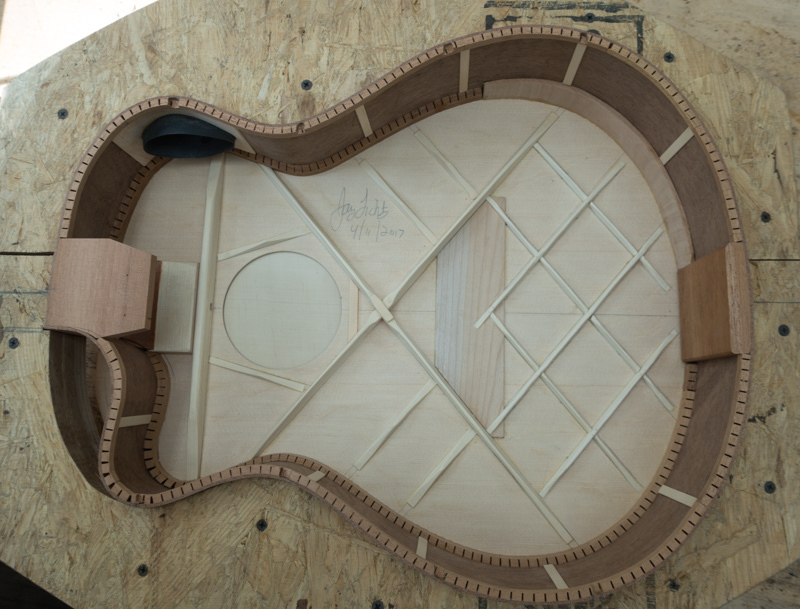 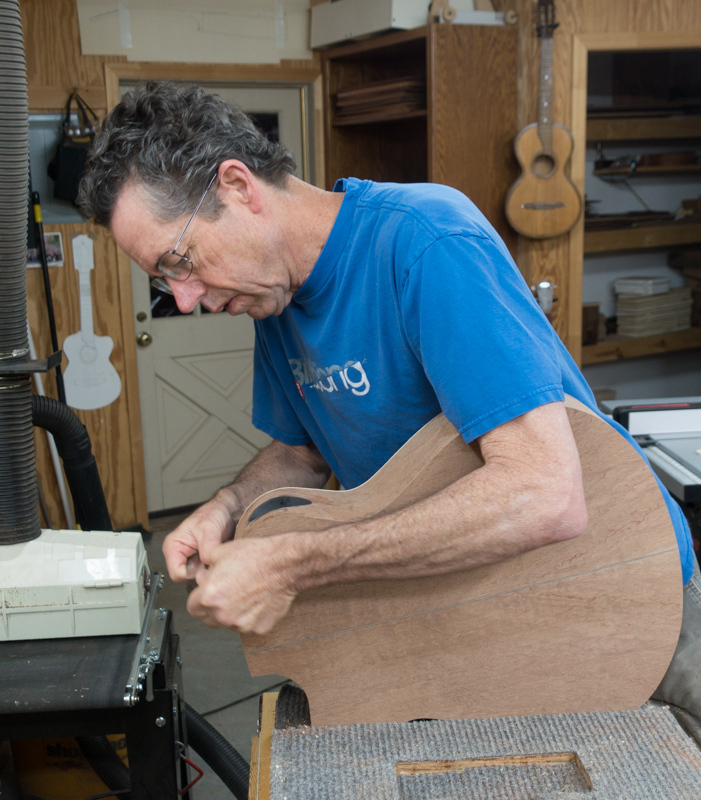 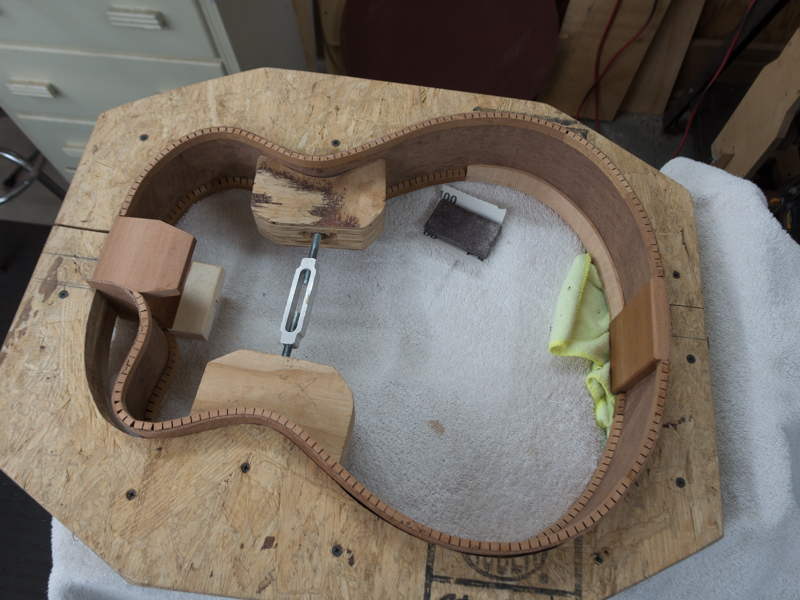 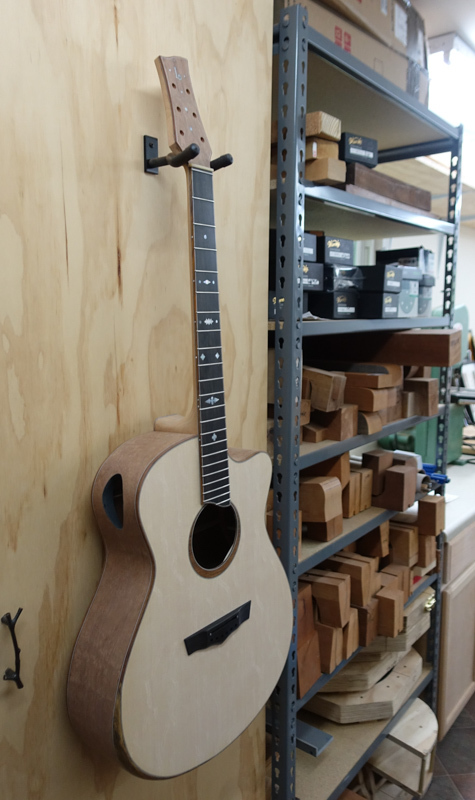 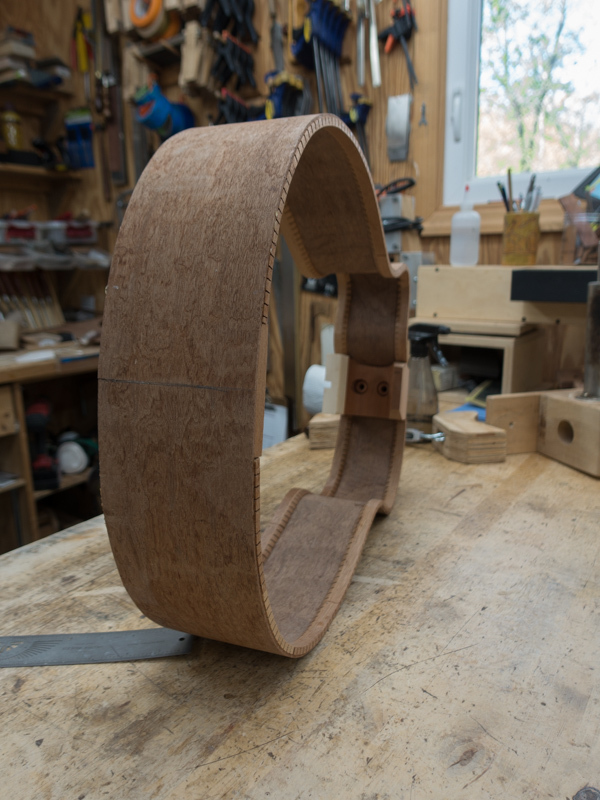 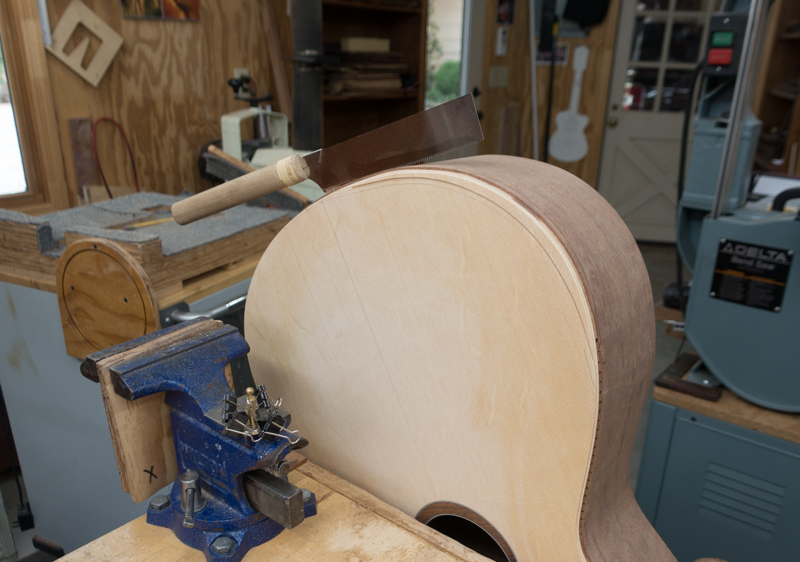 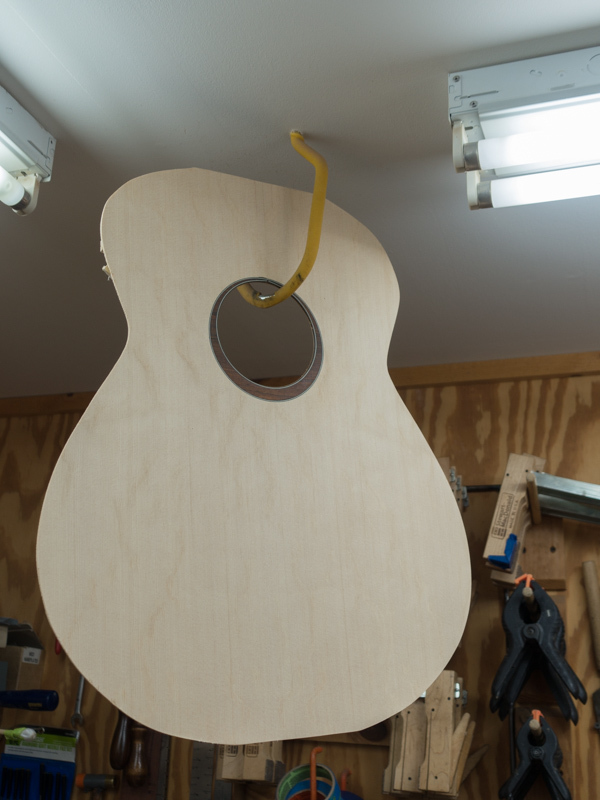 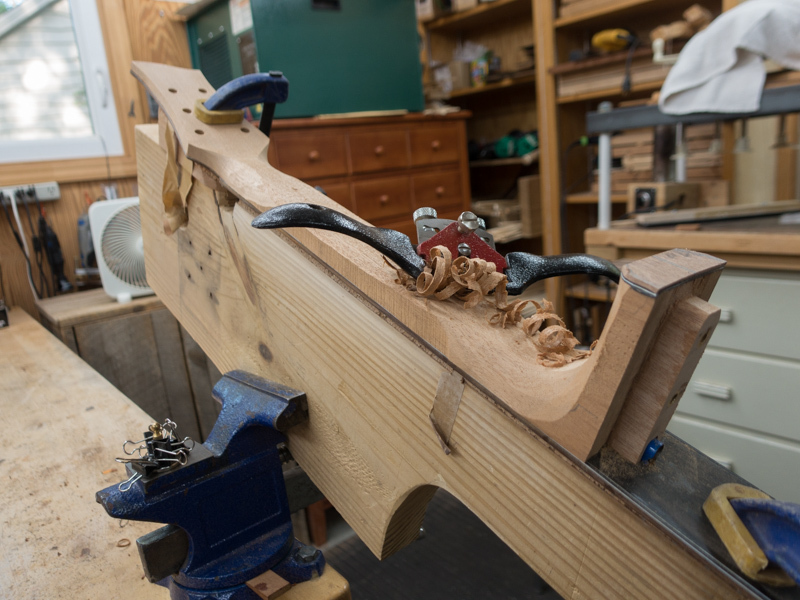 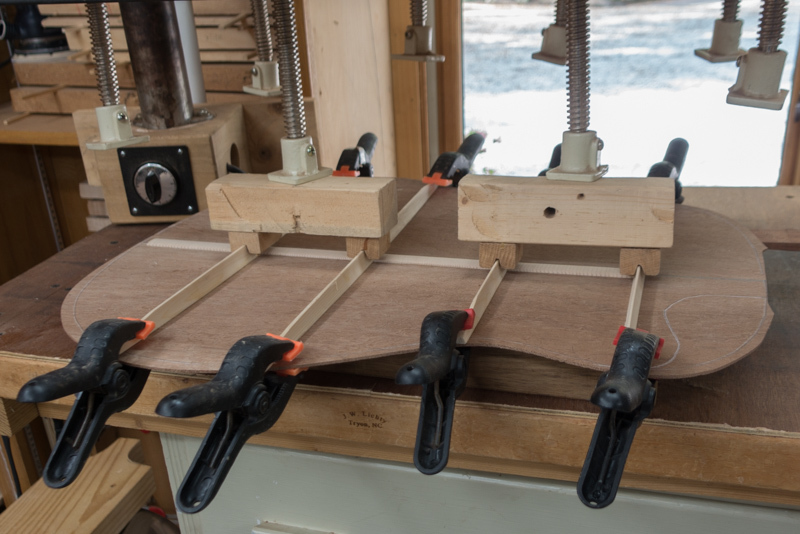 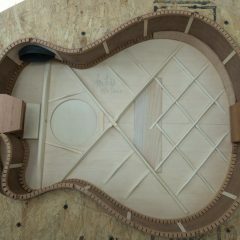 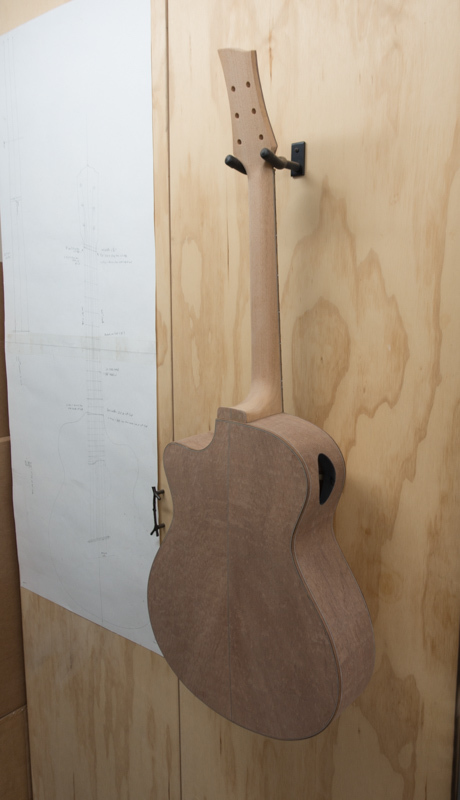 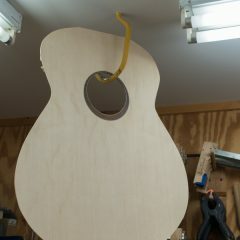 Jay decided to fit a just-for-fun build into his schedule of custom guitar orders. 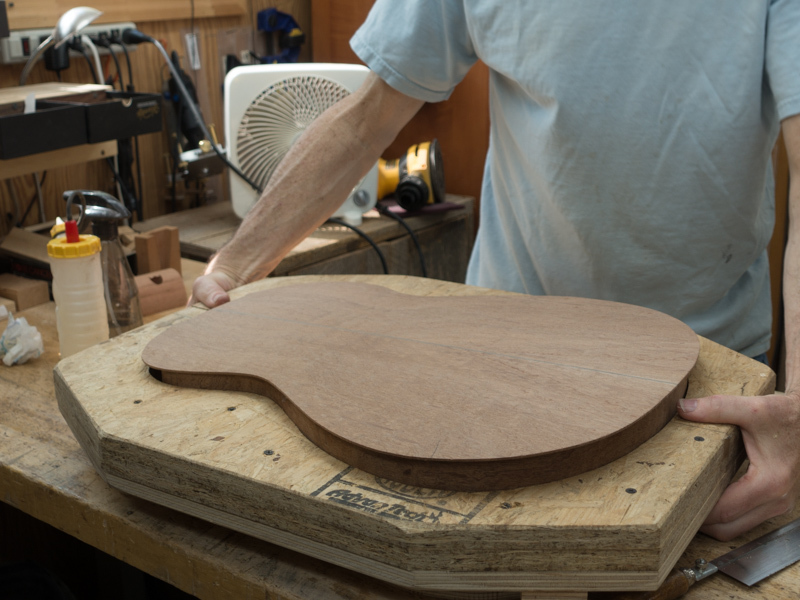 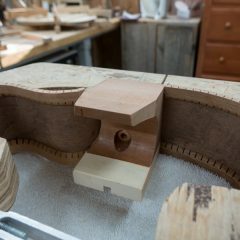 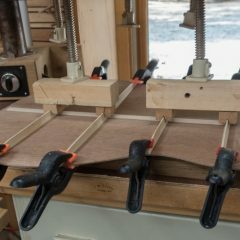 He chose to pair a set of super figured Sapele with one of his favorite soundboard woods, Bear Claw and to go for the medium jumbo style. 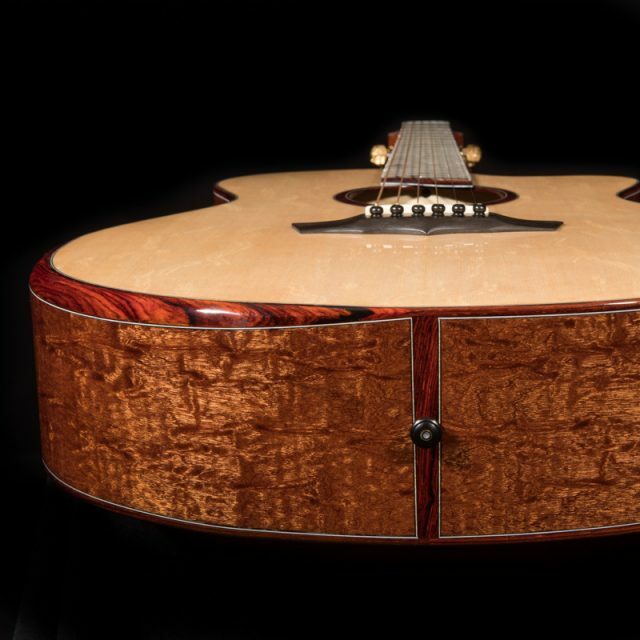 It is a beauty and it’s one of the only Lichty instruments that will be available for general sale (beyond the custom orders) in 2017. 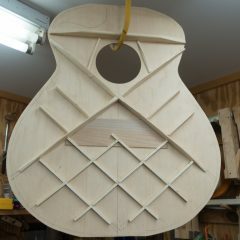 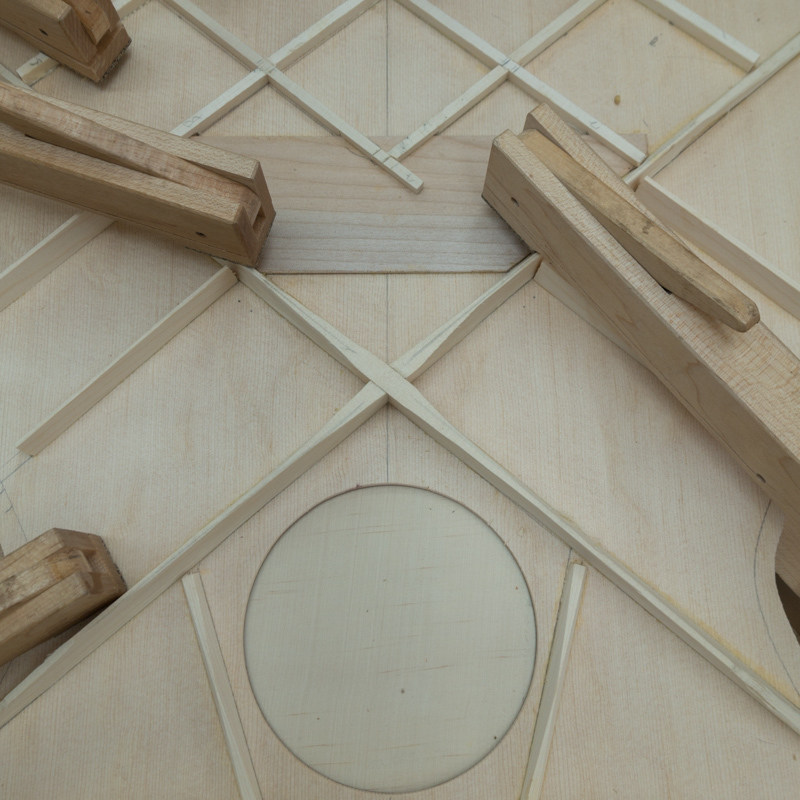 *Post Update – See the post on the completed instrument to learn more. 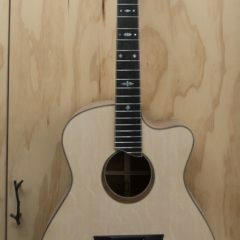 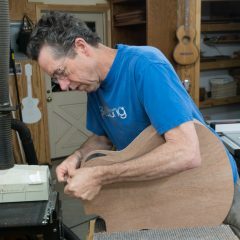 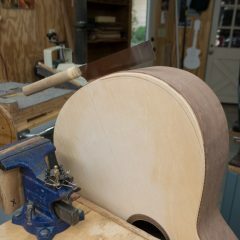 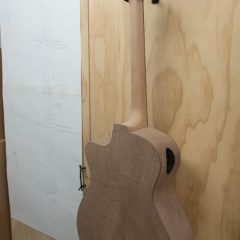 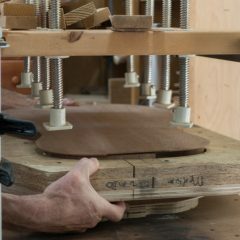 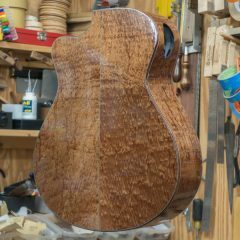 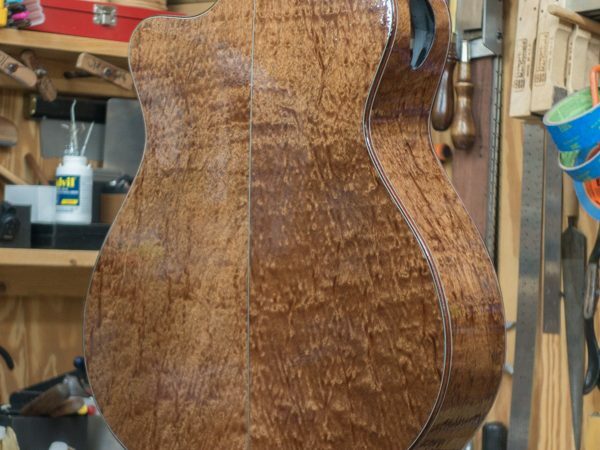 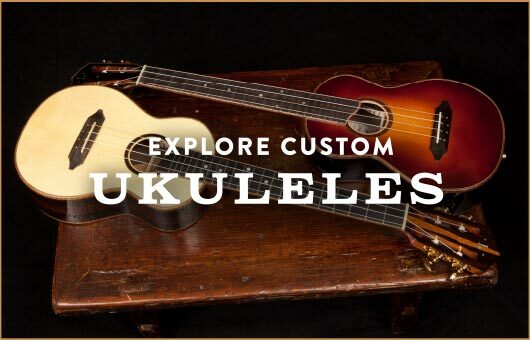 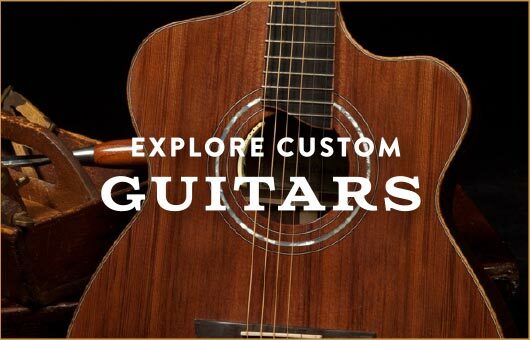 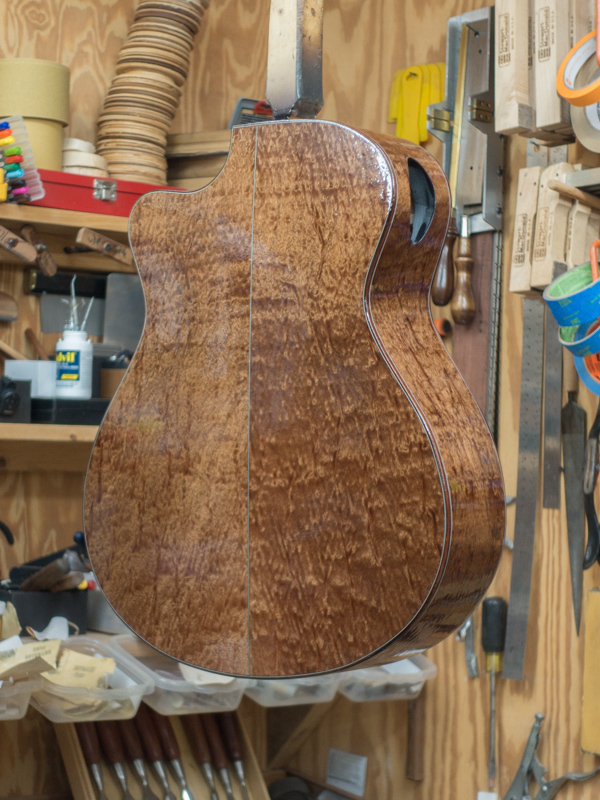 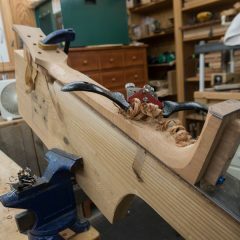 Features: Highly figured Sapele back, sides and headplate; Bear Claw Sitka Spruce top; Mahogany neck; Cocobolo binding and armrest bevel; side soundport; Ebony fretboard and bridge and more.